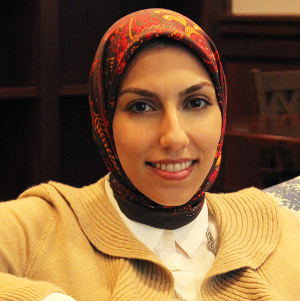 Zahra Tehrani received her Ph.D. in Molecular, Cell and Developmental Biology from the University of California, Los Angeles (UCLA) in 2011. Her doctoral research aimed to understand how pancreatic insulin-producing cells develop in the early embryo. In her postdoctoral work at UCLA, she studied a drug treatment for Diamond-Blackfan anemia. Dr. Tehrani’s current research efforts are focused on understanding public perceptions of the clinical translation of stem cells. As the number of unlicensed stem cell clinics marketing unapproved stem cell treatments continues to rise in the U.S., Dr. Tehrani believes it is critical to examine the contribution of stem cell hype in the media to the creation of unrealistic public expectations of stem cell treatments. Recently, her research interests have expanded to explore the development of soft skills in undergraduate education. As a Clinical Assistant Professor in the Honors College, she teaches interdisciplinary courses on the environment's effects on gene behavior, stem cells, and human aging in the Honors College. As the director of grants, Dr. Tehrani supports proposal writing for grants to fund research and high-impact learning at the Honors College. Tehrani, Z., & Lin, S. (2011). Antagonistic interactions of hedgehog, Bmp and retinoic acid signals control zebrafish endocrine pancreas development.Development, 138(4), 631-640. Tehrani, Z., & Lin, S. (2011). Endocrine pancreas development in zebrafish. Cell Cycle, 10(20), 3466-3472. Ear, J., Huang, H., Tehrani, Z., Sung, V., Daniel, T., & Chopra, R. (2013). RAP-011 Efficiently Rescues Erythropoiesis In Zebrafish Models Of Diamond Blackfan Anemia. Blood, 122(21), 3702-3702. Ear, J., Huang, H., Wilson, T., Tehrani, Z., Lindgren, A., Sung, V., ... & Lin, S. (2015). RAP-011 improves erythropoiesis in zebrafish model of Diamond-Blackfan anemia through antagonizing lefty1. Blood, 126(7), 880-890.